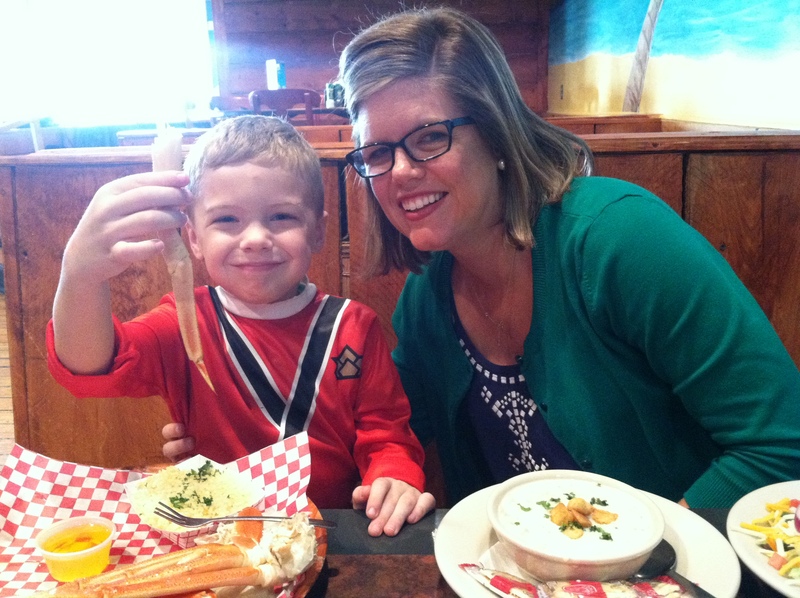 My 4-year-old’s favorite food is crab legs. That’s right. 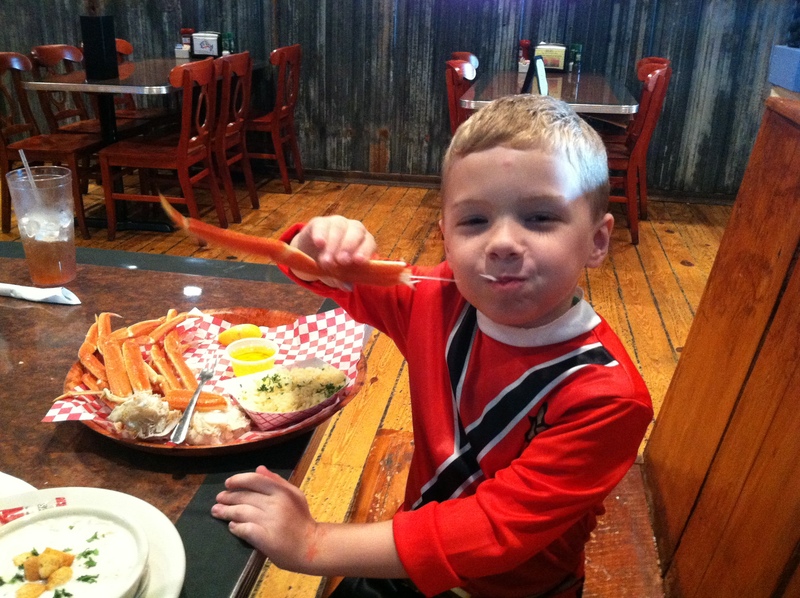 Alaskan snow crab legs. The stuff of 5-star restaurants and reality television shows. I’m not sure if it’s the delicate white meat, or the fact he gets to use tools at the dinner table. He also enjoys a nice steak (medium, please) and smoked salmon sashimi. He picks the roe off our sushi. He prefers olive oil with spices…over butter. Oh yes, he’s quite bourgeois. And I should be thrilled! Every mother’s dream, right?! An adventurous eater. A dungeness eater. Well, let me tell you. It’s not all it’s cracked up to be. He won’t eat pizza, macaroni and cheese, or spaghetti. NOTHING from the $3.99 kid’s menu. I’m afraid fate chose the wrong family for this fancy eater. Most of the time he has to settle for shrimp or chicken fingers. 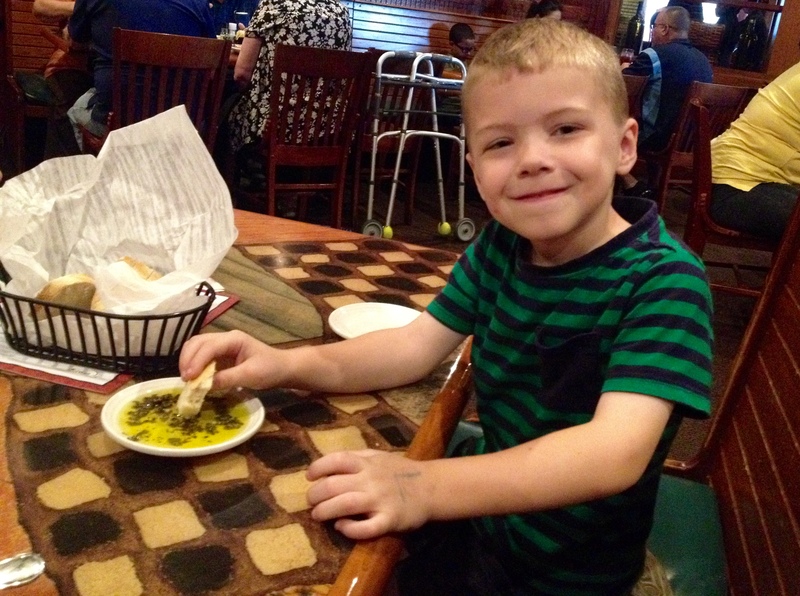 The other day, he asked the waiter for a side of drawn butter for his kid’s shrimp. On the rare occasion he actually gets what he wants, you should see the looks people give me. I’m not sure if they are amazed at his ravenous appetite, or they think I’m insane. We recently discovered The Oyster Shucker, a restaurant on St. Pete beach, that offers All-You-Can-Eat crab legs for the modest price of a Kia Rio. Dipping his bread in olive oil and spices. On our most recent visit, I gave in and ordered Colt the legs. Little did she know she’d be visiting our table four more times. We finally had to cut him off. I’m hoping as he gets older, his appetite will evolve to include more variety. Really anything that isn’t Market Price would be nice. Until then, I hope you enjoy that dinner, son. It was either that or college.